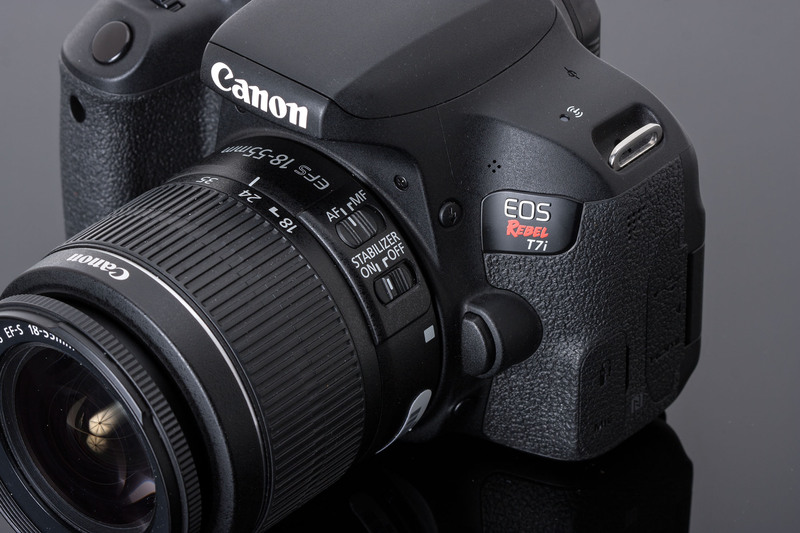 The Canon EOS Rebel T7i / 800D is the latest incarnation of Canon’s hugely popular mass-market range of DSLRs. This latest model is built around a 24MP sensor that uses Canon’s Dual Pixel AF system to offer improved autofocus in live view and video (more on that later). At its core, it shares a lot with the more expensive EOS 77D but the differences become apparent when you first turn them on: both models feature a simplified ‘skin’ over the user interface, but only the T7i has these guiding functions switched on by default. This should make immediately apparent who Canon is targeting with this camera: casual and family photographers buying their first DSLR and people who want to learn a little more about photography. It’s these two audiences we’ll focus on in this review. The Canon Rebel series (as it’s known in North America) is the best-selling series of DSLRs in the World, but it’s not without its rivals. A couple of these stand out, to us. Nikon’s D5600 is another 24MP camera that aims to offer a lot of capability in a relatively straightforward way. Sony, meanwhile, offers two mirrorless cameras to target these users: the a5100 is a simpler, more point-and-shoot orientated camera while the a6000 has a little more of its raw power on display, for those who have the time to learn how to use it. Fujifilm again focuses on the photographer looking for a camera to grow into with its X-T20. Similarly, the Panasonic G85/G80 gives room to expand into, especially given its mix of touchscreen and button control and its 4K video capability. In this company it’s really the T7i and D5600 that do most to accommodate both the beginner user and the photographer who’s already overcome that first difficult slope on the learning curve; the others, particularly the Fujifilm and Panasonic, work better if you already have a good idea of what you’re trying to achieve. One slight disappointment is the adoption of a new ‘kit’ zoom lens. The T7i gets bundled with the 18-55mm F4.0-5.6 STM IS. This the standard range we’d expect to see a kit zoom cover and offers fast focus and image stabilization. However, it takes the unusual step of being 1/3EV darker than most of its rivals’ lenses. This isn’t a big difference, and the optical performance is very impressive, but any move towards a darker lens will hold the camera back, at least a little, and represents a step in the wrong direction. The most basic need for a family or casual photographer is an Auto mode that performs well. The Rebel does extremely well in this respect, doing a great job of setting focus, exposure and white balance, meaning you can get good results by simply pointing and shooting. That said, the T7i can be a little bit too keen to use its built-in flash, which risks bleached-out images. And, if you turn the flash off, the camera will tend towards the use of quite slow shutter speeds rather than hiking the ISO up, risking blurred shots if your subject isn’t fairly still. Sadly there’s no way to change this behavior, short of learning enough about the camera’s settings to correct it, undermining slightly its easy appeal. This is the camera working at the limits of what the kit lens will allow. I forced the flash not to go off, then used exposure compensation to tell the camera that the image should be 0.3EV darker than it ‘thought’. Image stabilization and a patient subject did the rest. The camera produces JPEGs with excellent color and its image quality is competitive with any of its rivals, even as the light falls or you move indoors. Photography under artificial light can sometimes be a little orange for our tastes and you’ll need to move to ‘P’ mode if you want to override this. Caption: The large number of buttons might make the T7i look daunting, but it behaves itself pretty well when left in auto. What makes the T7i really stand out for casual shooters is how consistent the shooting experience is, regardless of whether you shoot through the optical viewfinder or in live view, using the rear screen. Historically this has been a weak point for DSLRs, with a significant drop in performance if you tried to use the rear screen for composing or shooting. The relatively seamless behavior means you can shoot using the rear screen just as if it were a compact camera or smartphone. 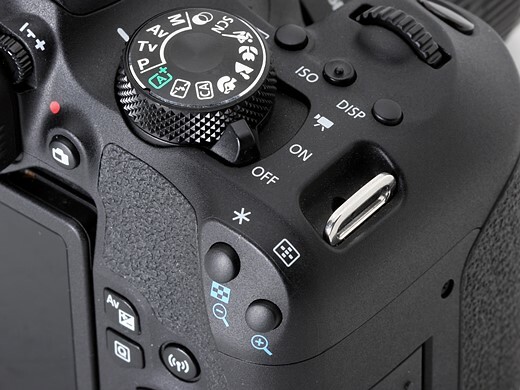 The EOS T7i/800D features a series of simplified menu options. In each case they guide you to change the settings in the same way you would if the guide mode were switched off, helping you learn the effect of each setting and how to change it. The benefit of the camera’s Dual Pixel autofocus system for family and casual shooters is twofold, beyond the simplified user experience. The first is that the camera can track subjects around the frame as well (if not better) in live view mode than it can when you’re looking through the viewfinder, which is perfect if you just want to tap the screen and have the camera follow your child at they run around. This same capability and simplicity extends to video shooting. The camera is a little bit limited in spec terms: it only offers 1080p video and either auto everything or full manual. However, Dual Pixel autofocus design means again you can just tap where you want the camera to focus and be more confident that the focus will stay on your subject and won’t ruin your footage by hunting for focus. Our only real concern for beginner users is that, because viewfinder and live view operation have historically been totally different, it ends up being possible to set them to behave differently, in terms of autofocus. Particularly for beginners, we’d like focus drive mode and focus area mode to honor the same settings across both methods of shooting. Sadly, this simplicity doesn’t extend to the operation of the camera’s Wi-Fi system. There’s little point having a better quality camera if your images remain landlocked on the memory card while everyone around you posts their phone images to social media or sends copies to other family members. 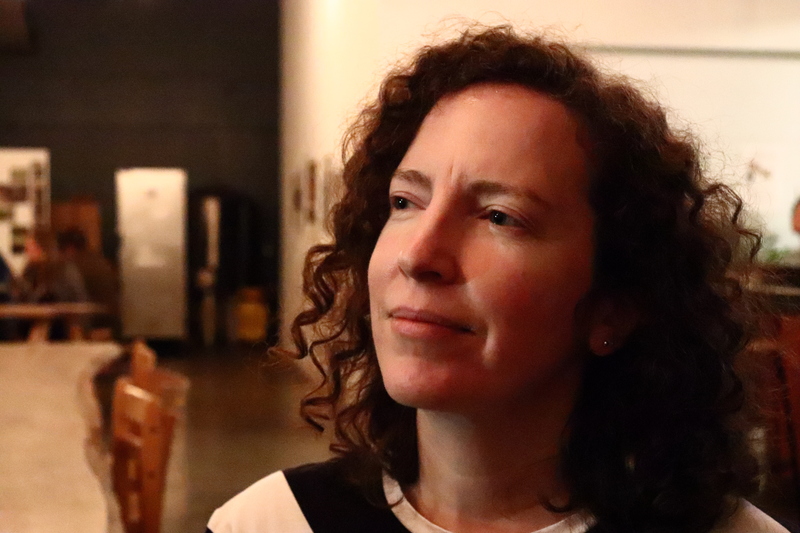 We found the T7i is a little complex to connect to a smartphone, which may hinder some users.